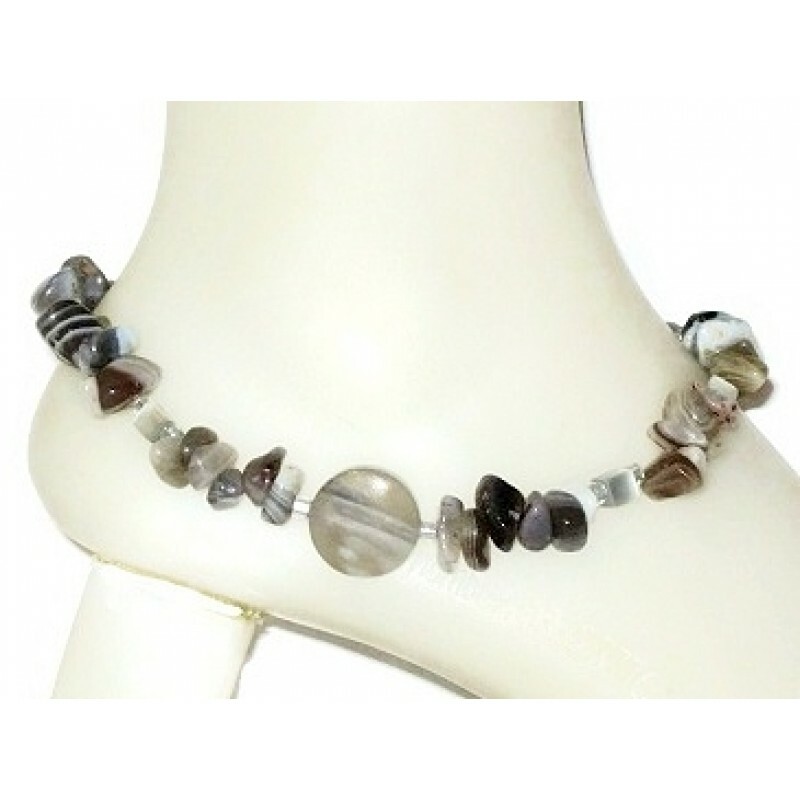 This anklet contains assorted botswana beads and cats eye beads. It is finished with a sterling silver lobster clasp, and measures approx. 9 1/4 inches.